"My great roommate, Shereena. I will miss you, my friend. We..."
"My condolences to Shereena's family and friends. I met..."
"May your light shine forever now. 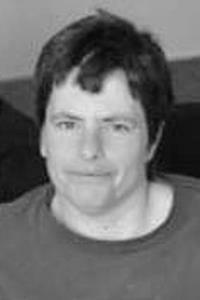 You are in the Lord's..."
"Dear Shereena, I am so pleased that I got to meet you and..."
SKOWHEGAN - Shereena (Pierce) Chase passed away March 30, 2019, at the age of 48, after a long battle with multiple sclerosis. She resided at Woodlawn Nursing home. She was the daughter of Shirley and Robert Pierce of Clinton. Shereena was predeceased by brother, Bobby and father, Bob. She is survived by mother Shirley of Clinton; sister, Sheena of Fairfield, brother, Vaughn Pierce and wife, Amy of Burnham, brother, Billy Pierce and wife, Diane of Fairfield; daughters, Malinda Pierce, Kaylee Johnson and son, Robert Dyer; grandson, Chase; and several nieces and nephews. She was surrounded by her brother, Vaughn and wife, Amy, sister, Sheena and long time friend, Linda Steward. A big thank you to the staff and friends at Woodlawns nursing home. A special thank you to Cindy Merithew for her dedication and the love she and the staff at Woodlawns gave to Shereena. Special thanks to nephew, Vaughn Pierce, niece, Stephanie Basford and Mellissa Pierce for bringing her home on the weekends and helping care for her.